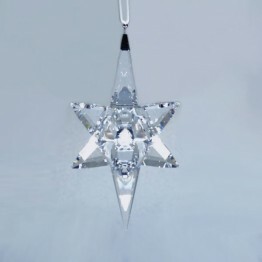 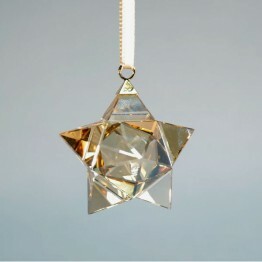 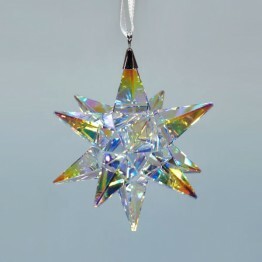 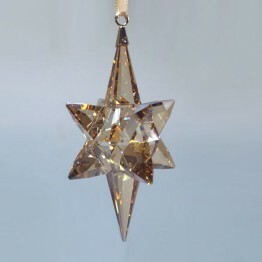 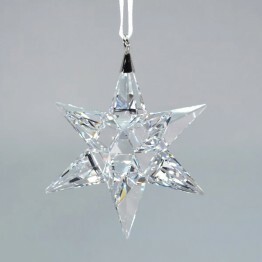 This 3D star is made of Aurora Borealis crystal. 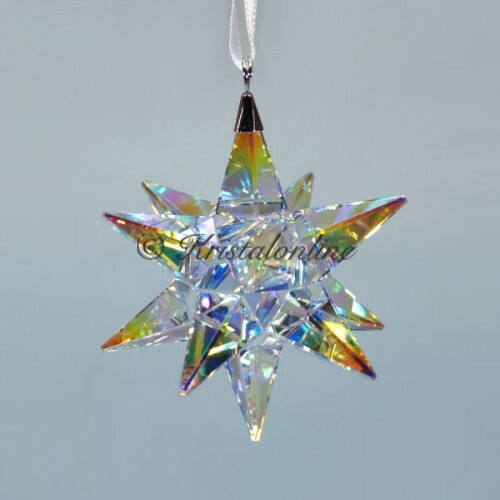 This gives the star many different colors. 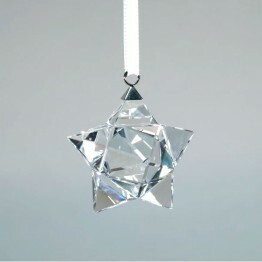 The ornament comes on a white satin ribbon.